Hello to all my friends in the crowdSPRINg-iverse! Here is this week’s Glance of Awesomeness. These projects end at the beginning of September, so check them out and get your creative on! 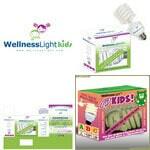 The Breakdown: WellnessLight is a really cool concept. They’ve created a lightbulb which will help rid air around the light of bacteria, molds, allergens and more. As that kid growing up who was always sneezing, this product sounds pretty freakin’ awesome. So, a cool product needs equally cool logo design and packaging design. Help them out, and lots of parents and teachers will be thanking you come Winter time. The Breakdown: This project first caught my eye with the name of this company, and then, the creative brief contained a link to some of the most creative and innovative business cards I have ever seen. Hands down. (Check them out here!) 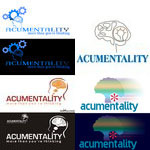 Acumentality conducts research trials in cognition, psychiatry and neurology and they need the perfect logo and stationery to reflect their brain-oriented business. Use your noggin’, and help give them the branding they need! The Breakdown: Not everyone can be lucky enough to have an office in beautiful Maui, but Turnbull Studios is. 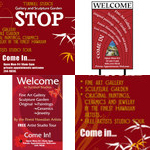 These three artists need an asian / zen-influenced sign for the front of their studio and sculpture garden. You can get a feel for the locale and the artists’ work on their web site. Now if only they would give the winning creative a trip to visit! 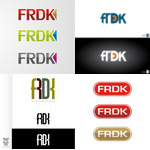 Glance #4: Fred Needs A Better Logo! The Breakdown: If you aren’t familiar with crowdSPRING creative fredK yet, then it’s time to get cozy and read up on him! Fred was our first featured creative for our “12 Questions” series (click here to check it out), and now, he’s turning to his fellow crowdSPRING creatives to help refresh and create a new logo design for himself. Help a brother out!